Jeri Lofland blogs at Heresy in the Heartland. The following was originally published by Jeri on July 3, 2014, and is reprinted with permission. Since Bill Gothard had to resign from leading his Institute in Basic Life Principles amid allegations of inappropriate behavior toward female staffers, he has made few public statements. But in private, he has been far from silent. However, some former IBLP staff members take issue with Gothard’s version of the facts. Gothard has made efforts to contact them, they say, and “grateful” was not a word that came to mind. One woman, who has had contact with Gothard since his resignation from IBLP, dismissed his attempted “apologies” as unethical and disingenuous. As this woman has requested anonymity, I will refer to her here as “Sally”. After her story was published on the website Recovering Grace, Gothard sought to engage Sally in an email correspondence. She has given me permission to share the content of those emails here. Gothard did not reply to the last message included below. You say that you have offended many individuals including myself. I would like you to be specific regarding the manner in which you believe you have offended me. I apologize for the delay in getting this message to you. For many years I have treasured the memories of the friendship that we had. I am praying that this can be restored. Some of my actions were inappropriate and offensive. Is it possible to hear your perspective on these wrong actions so that I can more precisely understand and acknowledge my fault and seek your forgiveness? I should not have to explain to you what was “inappropriate and offensive” about your actions towards me. It is very wrong of you to ask me to recount them for you, and I do not intend to do so. If you sincerely desire my forgiveness and you wish for reconciliation, then you need to acknowledge your offensive behavior in an honorable, fearless and truthful manner. If you are not willing to do this, then please do not contact me again. Readers of the accounts on Recovering Grace will recall that Gothard commonly groomed his victims of sexual and/or emotional abuse by urging them to confide to him all the sexual details of previous relationships. It would appear from this series of emails that even at nearly eighty years old, he still takes a voyeuristic interest in hearing his victims describe the shame he sought to burden them with. And once again, Gothard is breaking his own fundamental rules–this time for apologies. 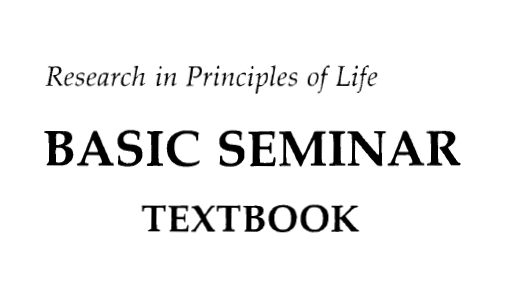 In his Basic Seminar textbook, he wrote a whole chapter on the right way to clear one’s conscience by asking forgiveness. It does little good to ask forgiveness for a small offense when in reality that offense is only a fractional part of a much greater offense. …One of the hardest statements for any person to make is, “I was wrong.” It is a lot easier to say, “I’m sorry about .. ” It is also much easier to say, “Please forgive me” than it is to ask, “Will you forgive me?” and wait for the answer. This request, spoken in the right attitude, is certain to be well-accepted by the one to whom it is directed. This approach must include correction of any attitudes or actions which caused the offense and also restitution for any personal loss which was suffered by the one offended. Oh, yes, restitution. Did you see that mentioned in the emails to Sally? No, I didn’t, either. In Scripture we are warned that, “It is a shame even to speak of those things which are done of them in secret.” (Ephesians 5:12) This warning definitely applies when asking for forgiveness. It is neither important nor appropriate to review impure details of an offense. This only tends to stir up the mind of the hearer to the past. And yet Gothard needs more details so he can “more precisely understand and acknowledge” his fault? Hmmmm. Please don’t write a letter. Most people are tempted to use this method because it is so easy and the least painful to their pride. But it is not effective for many reasons. First, it documents your past offenses and your purpose is to erase them. Second, a letter can be misused by the one receiving it. This only complicates the problem. Third, it often embarrasses the one receiving it, and they may never reply to it. Fourth, a letter doesn’t allow you to gain their verbal assurance of forgiveness. That is a very important factor for you and for the one you have offended. A verbal forgiveness allows him to become free of his bitterness. Oh, yes, bitterness! So we ask forgiveness in order to help our victim “become free of his bitterness”? No wonder these women are frustrated!Let me give you a tip, Bill. Forgiveness alone is not enough to erase your many offenses. And the women you used for your own sexual or emotional gratification are wiser and more self-protective now. This is not about restoring a friendship, it is about your manipulative abuse of your position. Perhaps most interesting of all, though Gothard’s attorney friend-turned-investigator failed to contact any of the women who spoke out on the Recovering Grace website, Gothard himself is contacting them. He is even contacting other women who have not publicly spoken about their IBLP experiences but who were indeed mistreated by him. Would he possibly be working from memory here? And if his memory is that sharp, why would he need to ask for more details? …be as brief and as clear as possible…. Talking too much will not only “sidetrack” the whole purpose of your coming, but may give the impression that you are trying to justify or explain your offenses in order to minimize them. You don’t say, Bill? You don’t say. Jeri Lofland’s parents enrolled in ATIA in 1987. Jeri worked, studied, and taught at numerous IBLP venues before being fired from Gothard’s Headquarters at 11 p.m. on a midsummer’s night in 1999, after which she began to slowly reexamine everything. Jeri lives, and blogs, in the Midwest with her husband of twelve years and their three children, whom she is teaching to challenge inequality and to question everything. Oh, he "carefully chooses his wording" alright. What a creep. Disingenuous is the kind word. Disgusting is accurate. Never have I heard such a strange "apology" or the beginning of one, or whatever you might call that email. What on earth. I think there is something wrong with him. He is old and I hope he gets this worked out. I am about done with thinking he will. Poor guy. When I have wronged someone, I know good and well what I have done - they do not need to provide details. Top that off with the fact that the details have already been provided for so many of these wrongdoings through RG and testimonies given. There can be no misunderstanding. To the victims - this article may be disheartening by showing that there has still been no 'ownership' taken by BG. Please do not lose heart. I have been a victim of some very serious proportions and can attest to the fact that Jesus makes all things new. The perpetrator in my case has never sought forgiveness yet through God's amazing grace, power, and gentle guidance has been totally forgiven by the victim. It took me some time and totally leaning on God's word and strong right arm but I have been free of it for 30 years. Just saying this since no progress has been made thus far with the victimizer. Asking "Sally" to recount the details of her earlier abuse is abuse in itself. I think BG's actions have been horrible and I have a very low opinion of him, but you do all realize that "sally" herself asked Bill to make his offenses clear. So she did the same things that everyone is saying was so wrong of Bill to do. Sally says "I would like you to be specific regarding the manner in which you believe you have offended me." "Readers of the accounts on Recovering Grace will recall that Gothard commonly groomed his victims of sexual and/or emotional abuse by urging them to confide to him all the sexual details of previous relationships. It would appear from this series of emails that even at nearly eighty years old, he still takes a voyeuristic interest in hearing his victims describe the shame he sought to burden them with." I don't think "Sally" and BG should be compared in this way. Their situations are not the same. Compelling girls and young women to confess their sexual experiences is part of BG's modus operandi. BG is attempting to revictimize Sally by asking her to relate the details of her interactions with him. Sally's motivation for asking for details is different. She is seeking an acknowledgment from BG of his harassing behavior. I'm not comparing them, just making an observation. If his intent was to re-victimize her then shame on him. I also consider that because he bases his actions on narcissistic thinking patterns, I can only assume that he is only seeking his own interests still. "Reaching out" has nothing to do with healing for his victims, but everything to do with him saving face, salvaging the kingdom he's created, and as delusional as it is - piece back together his reputation. Ignorant, selfish, or both - it's not about the victims for him. Personally, whatever his issue is, I don't think he's capable of sincere remorse much less empathy. I think it was fair of "Sally" to ask her perpetrator to own his indiscretions and state his own transgressions, but inappropriate for her, the victim, to have to initiate clarity and define what happened. As a victim, the last thing I would want is an apology from my abuser that still doesn't think he did anything wrong. That's an empty apology that lets the abuser "off the hook," and me still wondering where I can find closure. In terms of very specific sexual abuse, it's ludicrous that BG has no inkling of his misconduct. If the method of reconciliation that BG tried with "Sally" is the method he's using for other victims as well... I hope he gets the door slammed in his face every single time. For some reason, to me, his method seems to reflect that he's still on a power trip. On the contrary, it is night and day different. Asking the abuser to acknowledge what he did is asking him to own up. Asking an abuse victim to continually rehash past abuse, resulting in some kind of enjoyment on the part of the inquirer at the victim's expense is itself abuse. Someone recently linked to a parable about an elephant stepping on a mouse's toes. The elephant did not feel the mouse, could not seem to comprehend the damage he was doing. Asking the elephant to own up the damage he has caused is not an unfair request, especially when the elephant claims to be interested in repenting and changing. Yep, I wasn't saying that it was the same for Bill to ask as it was for Sally to ask, just pointing out that people are contradicting themselves a bit by saying how gross bringing up the past would be, when she asked him to do it. In no way am I attempting to put blame on her *at all* or say that Bill's reply was in any way appropriate. It was simply an observation I made when I read her first letter. Wait, it's a problem that Sally wanted BG to be clear about what he was apologizing for? That is in no way equivalent to what BG requires during his "confession" sessions!! Either you have totally missed exactly what BG *does* in these sessions, or you have missed that an apology is about naming what you actually did! My thought is that if anything, Sally's request for Bill to acknowledge his behavior is pretty much turning the tables on him, 'see how it feels when someone does this to you?' in hopes that maybe he'll understand or make the connection. I don't know whether that was the intent at all, but rather my personal take on it. My other thought is that Sally is merely protecting herself by establishing some very strong boundaries from the get go; 'you may say/do this, you may NOT say/do this to me, I will not tolerate it', and forcing him to abide by it so she wouldn't be swept up in his pretty words and brilliant manipulations. Of course Bill isn't going to be specific, because specifics could, finally, cause his most devoted followers to leave him and his teachings behind! Instead, IMHO, I think he is trying to smooth over as many ruffled feathers as quickly as possible in order to shut his victims up so he can resume leadership. If "Sally" remains stalwart, he'll move on to the next. He doesn't care about Sally at all. Putting specifics about his offenses in writing could also land him in prison. Bill Gothard is not stupid. Of course he is trying to smooth things over with his victims to silence them and resume his position. But he has to be very careful to admit nothing of substance. His true intent is not reconciliation, it is reinstatement. Yea pretty clear that he isn't going to leave a trail and the board is not interested in finding the trail. If I were to lead a thousand people to Christ and yet sexually molest one person I would end up in jail. As I should. I don't care how much "good" he has done. I read another very graphic account of one of his victims today on the internet. Words cannot explain my sorrow for his victims or my disgust of his selfish actions. To me the worse part of this is not only an unrepentant abuser and manipulator, but the IBLP Board not using an independent agent to contact ALL the women who were harmed by the abuse to get their testimonials as to the extreme harm that was done by BG. I hate to admit this, but they are almost as much to blame as BG himself. They just want to move on, but sin will not let them move on. It must be dealt with honestly and Biblically. IBLP a ministry I can no longer support because of this. I hate cover ups and hypocrisy in myself, in others, and especially in churches and organizations that think they are so grand and vital. Not to quibble, but just for clarification's sake, the board is not responsible for Bill's sins, but they most certainly ARE responsible for anything that could be considered a cover-up. interesting that Bill said some of his actions may have been offensive. Either he is the most deluted and confused man on this planet with dementia setting in or he is truly become diabolical. In all fairness, it would be better to read the whole exchange between Sally and Bill. Likewise, it is rather curious how Mother Jones was able to interview Bill Gothard. I am sure he has had numberous requests but to give an interview to Mother Jones is curious in it of itself especially when this interview is sandwhich in an article about Hobby Lobby and it's support of Gothard. For many years I have treasured the memories of the friendship that we had. I am praying that this can be restored. This is the part that creeps me out almost as much as the others. He would like to restore what they had? Uck. And he keeps thinking about it? He makes it sound like it was all good, at least that in his mind it was all good. Important to point out that this conversation took place after "Sally" publishedher story on RG. If Gothard's memory needed to be refreshed, he could of course just read what she published, and it should not be difficult for him to deduce what he did wrong. I am sure BG monitors this web site. He isn't that stupid. I think the headline here is somewhat misleading because I'm not sure what Gothard was doing here constitues an apology. In my opinion, it is inappropriate for Gothard to be reaching out and trying to "reconcile" or "apologize" or whatever, without a completely independent and thorough investigation. I really think that has to be a given before real and effective reconciliation and restitution can even be attempted. Sadly, it may never happen. But let's dream a little. What if IBLP were to cave under pressure and authorize an independent investigation? What if a complete and independent investigation confirmed all allegations? Under that scenario, what does real repentance/forgiveness/restitution look like? A quick comment, wish I had a longer minute to fill in more detail, but I think that's a great question and an important one to consider. Two books have come to mind recently as I've thought quite a bit on this issue. "As We Forgive" describes a Truth and Reconciliation model in action. The symbolic use of the local tree that reminds of the Sycamore tree in the story of Zacchaeus is beautiful. I think Judy Smith's description in "Good Self Bad Self" of the elements of a good apology also is reasonable and helpful. She says it should include showing an understanding of what you did, recognizing your responsibility for your actions, acknowledging the pain that the people affected experienced, a judgement about the offense ("what I did was wrong"), a statement of regret, and an indication of your future intentions. To borrow another piece of common wisdom, it seems to me that any situation like this where a public figure wants to be restored should involve SMART objectives, that is, objectives that are specific, measurable, attainable, realistic and time-oriented (with deadlines). @mosessister: I agree that it's completely inappropriate for BG to be reaching out to his victims on his own and on his own terms. The term "convoluted" comes to my mind. Hmmm... what about building a "Hold IBLP/Gothard accountable" Kickstarter? It could be seed money for several different avenues of holding their feet to the fire. Maybe the funds could be given to an organization like GRACE... even if the funds do not impact the IBLP situation directly, it would be really make a statement. Imagine the former ATI students' Kickstarter raising 50K to fund GRACE... That would make create some waves in the media. Call it the "Formal Request for Independent Investigation" Kickstarter initiative. I think funds should be raised to hire GRACE to conduct an investigation. This would be a real investigation, as opposed to the CWA joke of an investigation that was done internally. What was missing in their investigation was the voices of the victims. GRACE can give them that voice. GRACE is respected in the Christian community and trusted as an organization that has a heart for victims of abuse. I'm sure many people, including me, would be willing to donate to support such an effort. Could GRACE conduct an independently-funded investigation without the cooperation of the Board? Not sure how all this works. I don't see why not. They could not force the Board or Bill Gothard to participate, but GRACE could interview all of the victims and key former staff who witnessed things. If the Board and BG choose not to participate, which will may be the legal advice that David Gibbs gives them, it will speak volumes. I don't think anyone but the completely brain washed will ever accept the results of their own "investigation" completed by attorney David Gibbs. Part of their process is they only go where they are invited. Has anyone asked GRACE if they would turn down a request from victims to investigate and evaluate? What better way to motivate other organizations to deal with their problems than a public professional fair evaluation of a recalcitrant organization sponsored by victims and friends? I won't reiterate what everyone else has already said, but I will add this: how much longer will Gothard continue to flat out refuse to validate anyone's pain? I'm not just talking about his refraining from specifically stating what he did. I'm talking about the little things - the subtle, insidious things - that appear in his statements. For example, does anyone else ever notice that he always remains within the confines of his own terminology? He never, ever speaks to people using their words, their phrases - what they bring to the conversation. And in doing so, he's refusing to acknowledge the value of what they're saying and even who they are as people. At this point... Bill will never reconcile with those who he has hurt. There is a major character flaw (sin) that has allowed him to continue the same behavior for decades. His conscience was seared long ago and his ongoing sin and ballooning pride has now blinded him from the damage he caused others. He may in fact have convinced himself (with the help of Satan) that what he was doing was truly helping all those girls. He has rationalized and lied to himself for decades. There is no sense of guilt, no sense of shame for his sin or for the hurt he has caused so many. He only feels remorse for being caught and possibly losing his control and power. We can all hope he repents but after decades of self deception, it would take an immense and miraculous work of the Holy Spirit. It is always possible… just not very probable. "8. Gothard continues to receive a salary from the LaGrange Bible Church as a supported missionary." I don't remember knowing that. Not that it's a problem, just that they always talked about how Bill only got 18K from IBLP. Props to RG for sharing this post! I really want to hear from the Duggar family or Bates family regarding their stance on Bill Gothard. Does anyone know if he still makes appearances/gives speeches at the high profile ATI weddings? Such as the recent weddings of Jill Duggar or Alyssa Bates? I know he was at Erin Bates wedding.. they had a "groom cake" which was Gothards birthday cake.. which is nasty in its own. I'm not sure he's a liar as much as someone who doesn't even realized he's still enslaved. God has taught me valuable truths through IBLP and Bill Gothard over 3 decades. I am very blessed, very thankful.